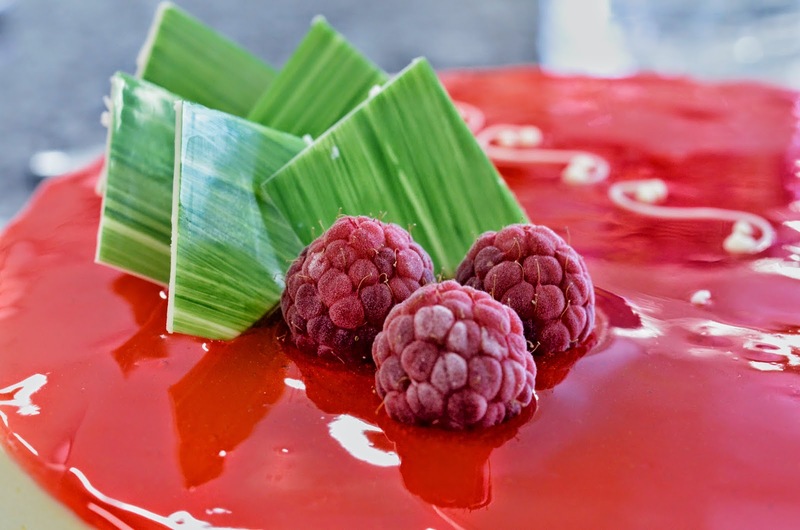 Framboisier derives from framboise (raspberry) and designates the raspberry plant, but also the cake. By the way, the same goes for the strawberry cake and plant (fraisier). I like the look of the one we made this morning: a creamy base, a glossy red glaze reminding the fruit and some chocolate decorations using the complementary color of red: green. a base biscuit such as a génoise, joconde, ladyfingers, etc. The one on the photos are made out of a viennese biscuit. The cream we used was good but a little too heavy. According to one of my teachers, the mousseline is a kinda 90's recipe. The new trendy seem to be the Diplomate cream: Instead of butter, some whipped cream. That's probably a better deal for both our immediate pleasure and longterm shape. Beat the pastry cream to smooth it and incorporate some air. Add the raspberries, more cream, the second soaked biscuit, the rest of the cream. Smooth it with a spatula. Leave it in the freezer. 5. 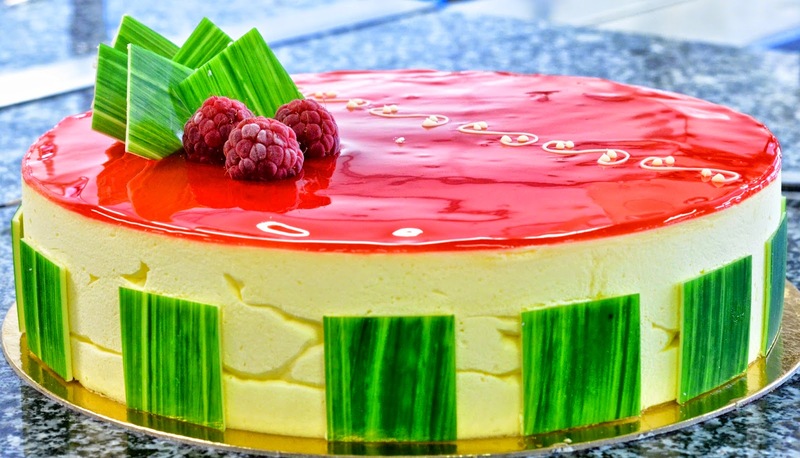 Glazing: mix the mirror glaze with the red coloring, spread it on the frozen cake, smooth it gently with a spatula. - spread out a thin layer of tempered white chocolate. This looks simply delicious! you can bet your pants i will be trying this as soon as i can get all the ingredients! I want to thank you for sharing this even before i am tasting it because i can already tell it will be amazing!